The district around Pember Road remained completely rural until about 1850. Kensal Green manor house, which was roughly situated where Wakeman Road joins the Harrow Road, was pulled down in the 1860s. From about 1860 the lands to the west of Kilburn High Road began to be built upon and in the 1870s the sale of Banisters Farm led to the building of many present day streets. By 1880, the rapid build up of the area caused official concern. Many houses had no regular sewers and privies drained into old, broken down pipes. 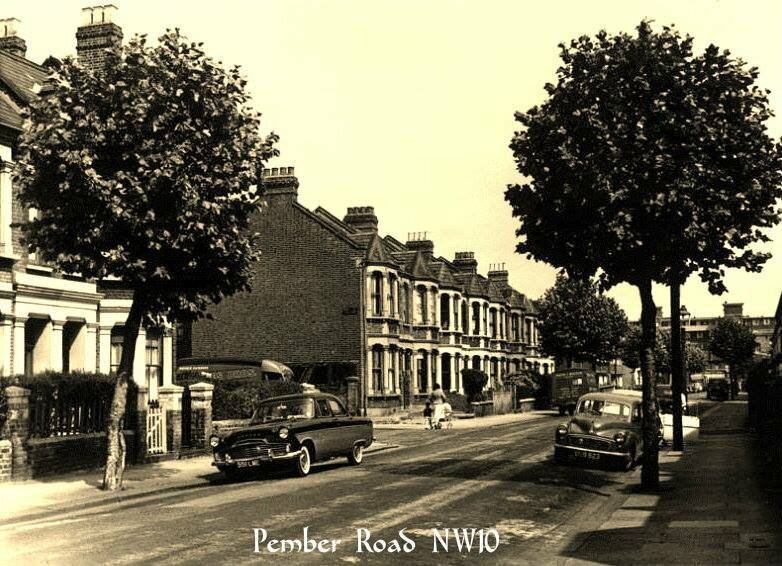 During the Second World War, Pember Road was the location for a aggregate night time bomb which fell during the Blitz. Kensal Green, site of England's oldest cemetary still in use. Kensal Green is the site of Kensal Green Cemetery, the oldest English cemetery still in operation, which contains many elaborate Victorian mausoleums, including those of William Makepeace Thackeray and Anthony Trollope. Architects who are buried at Kensal Green are the famous Hardwick and Shaw family whose graves are by each others side. Roughly speaking, the area west of Chamberlayne Road, north of Harrow Road and south of Kensal Rise railway station is considered Kensal Green while that to the east of Chamberlayne Road and north of the station is considered Kensal Rise. These boundaries are by no means fixed however and some residents are known to use both terms with little regard for geographical accuracy. Kensal Green is first mentioned in 1253, translating from old English meaning the King's Holt (King’s Wood). Its location marked the boundary between Willesden and the then Chelsea & Paddington, on which it remains today. It formed part of one of ten manors, most likely Chamberlayne Wood Manor, named after Canon Richard de Camera (of the Chambers). In the fifteenth century the then Archbishop of Canterbury Henry Chichele (1414–1443), acquired lands in Willesden and Kingsbury. In 1443 he found All Souls College, Oxford and endowed it with the same lands in his will. Resultantly, most of Willesden and Kensal Green remained largely agricultural until the mid-1800s, well into the Victorian era. In 1805, the construction of the Grand Junction Canal passed through the district to join the Regent's Canal at Paddington. As the combined Grand Union Canal, this allowed passage of commercial freight traffic from the Midlands to London Docks, and hence onwards to the River Thames. There were two dairy farms in Kensal Green by the early 1800s, which expanded greatly after the 1864 Act of Parliament which made it illegal to keep cattle within the City of London. Although by the late 1800s residential development had greatly reduced the farmland, still in the 1890s many sheep and pigs were raised in the district. One of the farms later became a United Dairies creamery, supplied by milk trains from Mitre Bridge Junction. Rapid residential development led to local commissioners reporting in 1880 that there was inadequate drainage and sewerage facilities, with most houses having only improved access to what were the old agricultural drains. In that same year, All Souls College started to develop its lands north west of Kilburn Lane, including All Souls Avenue and College Road, with adjacent roads being named after leading Fellows of the college, and the installation of new sewerage facilities across the district. The college donated lands on which to build Kensal Rise Reading Room, to commemorate the Diamond Jubilee of Queen Victoria, in 1897. Opened by United States author Mark Twain in 1901, it was later extended and renamed Kensal Rise Library. 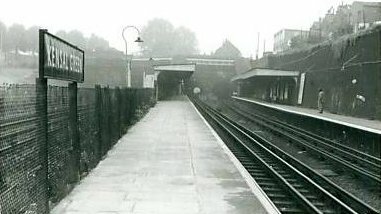 Kensal Green station opened on 1 October 1916 on the New Line on the north side of the existing London and North Western Railway (LNWR) tracks from Euston to Watford.